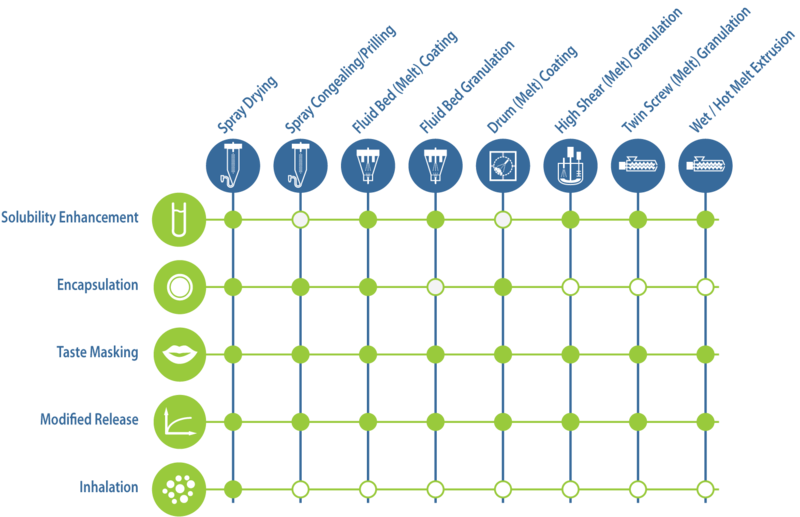 70% of the new chemical entities (NCEs) synthesized are poorly soluble compounds, resulting in a low bioavailability. Bioavailability enhancement is the number one challenge in formulation development today. Xedev can help overcome complex bioavailability challenges and accelerate drug development process through superior formulation technologies and rigorous data-driven scientific approach. One of the main approaches to increase the solubility is by creating an amorphous solid dispersion. 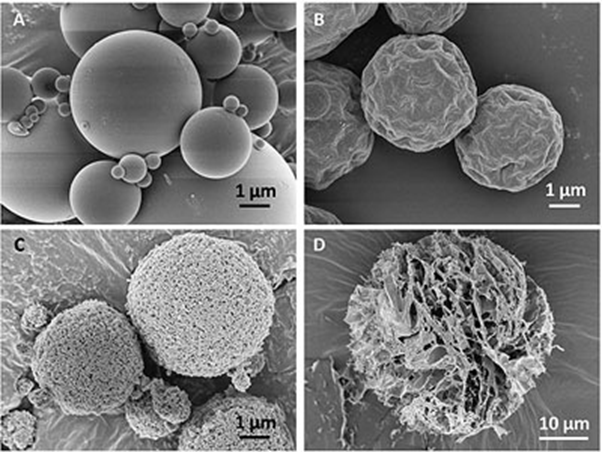 Amorphous solid dispersions can be created by different technologies such as spray-drying, spray-congealing and bead coating. After processing, the API is molecular dispersed in a polymeric matrix. The polymer is used to stabilise the amorphous, metastable form of the drug and sustain superstaturation of the API in biological fluids, thereby increasing the bioavailability. 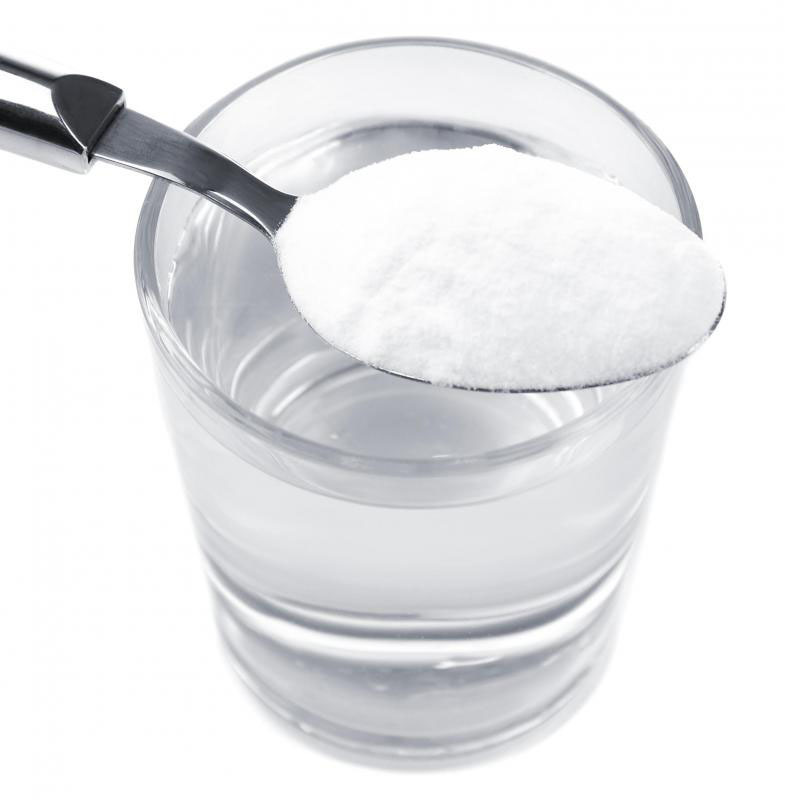 Encapsulation of the active ingredient or the final dosage form is intended for different applications such as protection against gastric pH, protection against the environment (moisture, temperature or light) or taste masking. We evaluate the best technology to encapsulate your product depending on the final solid dosage form. Taste-masking techniques are applied to mask or overcome the bitter or unpleasant taste of active pharmaceutical ingredients to achieve patient compliance. Pediatrics and geriatrics are not always able to swallow tablets or capsules, therefore the oral formulation is dispersed into food or drinks whereby the unpleasant taste is often the biggest barrier for these patient groups. Dosage forms can be designed to modify the release of the drug over a given time or after the dosage forms reaches the required location such as the small intestine or the colon. Sustained-release formulation should release the active ingredient over a certain period of time after administration. Our experts will make matrix or reservoir systems with your active ingredient in order to create the requiered release profile. 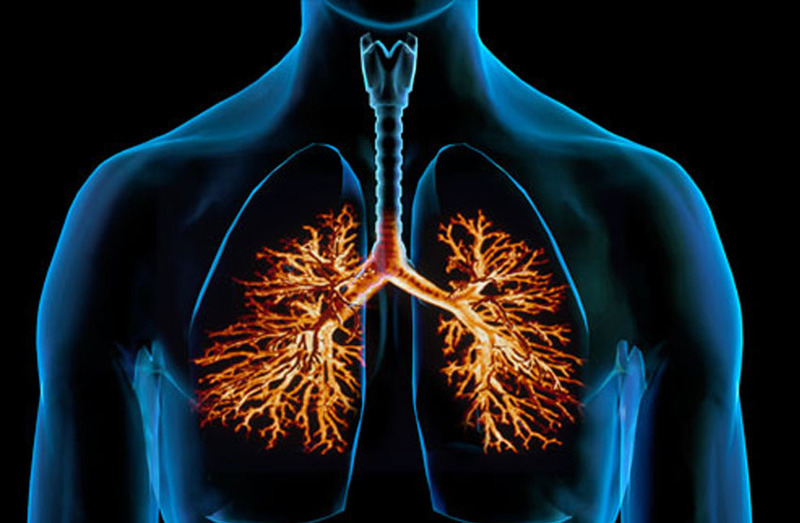 For efficient deposition within the lungs the optimal aerodynamic diameter of particles for inhalation is between 1 – 5 µm. Spray-drying is a common approach for powder preparation for a wide range of powders, and is especially suitable for preparing powder for inhalation because this process allows control over the particle size and shape, generating powders with narrow particle size distributions and low particle surface energy. Furthermore, spray-drying enables the incorporation of excipients to improve the dispersibility of the powder, to improve the stability of the drug, to enhance the absorption of the drug or to generate powders that display a modified drug release profile. As experts in the spray-drying process, our scientists can generate powders which fulfill the requirements of your inhalation formulation. Both drug-alone formulations or carrier-based formulations with or without additives can be produced and completely characterised. 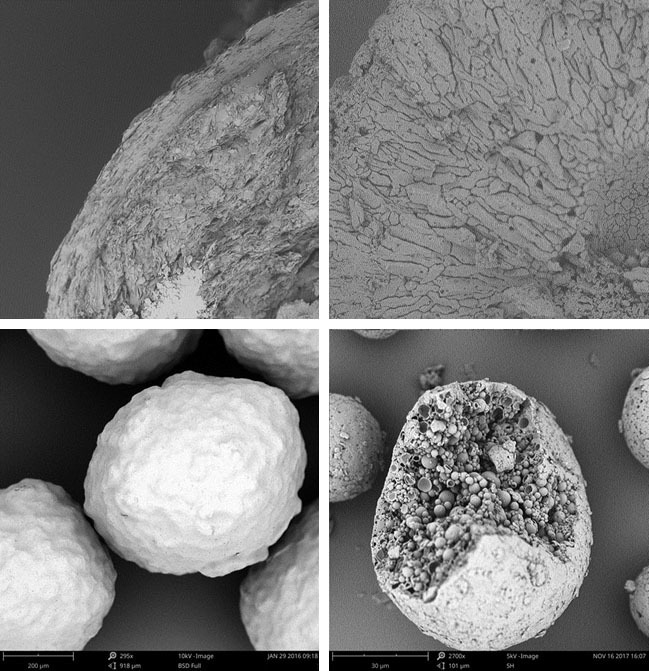 Xedev uses Spray Drying as a technique to create inhalable particles.